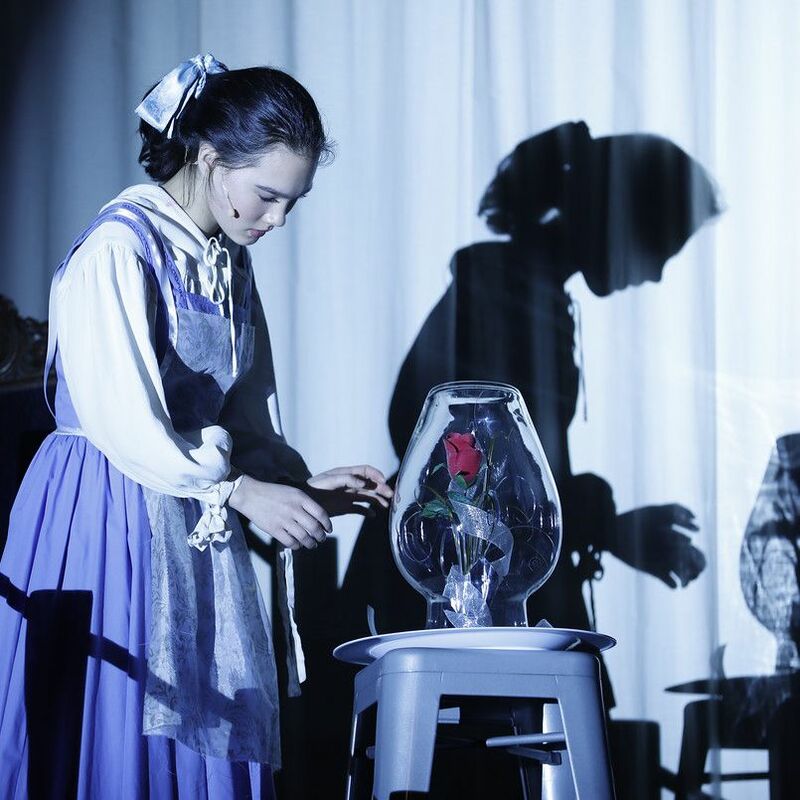 Congratulations to all of our performers in this year's musical production of Beauty and the Beast. 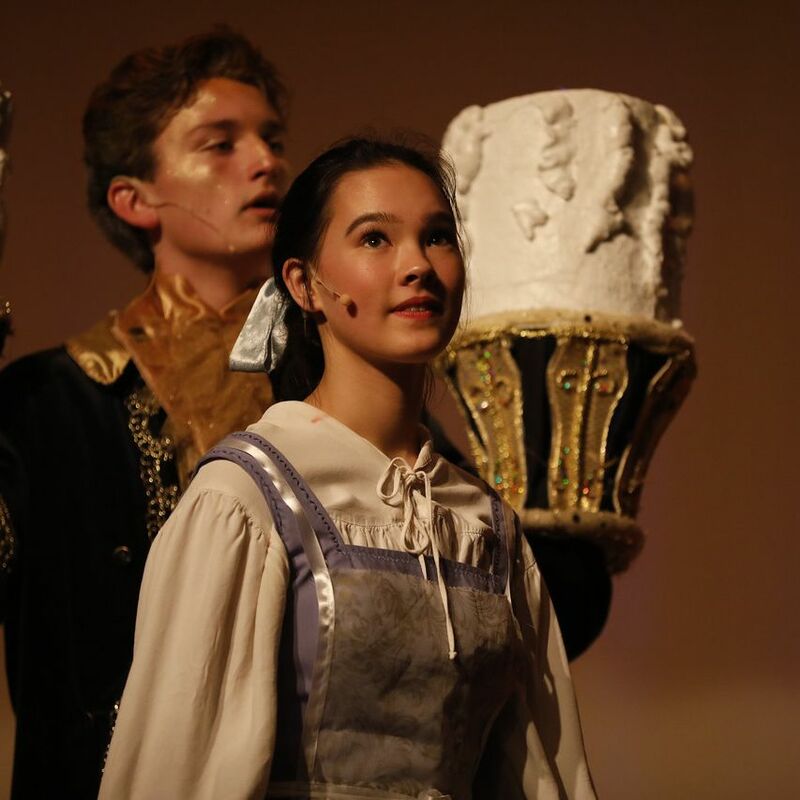 The show, presented April 12-14 starred freshman Caitlin Balón as Belle and junior Samuel Thompson as Beast. The pair was part of a 24-member all-star cast that helped make the production a total success. 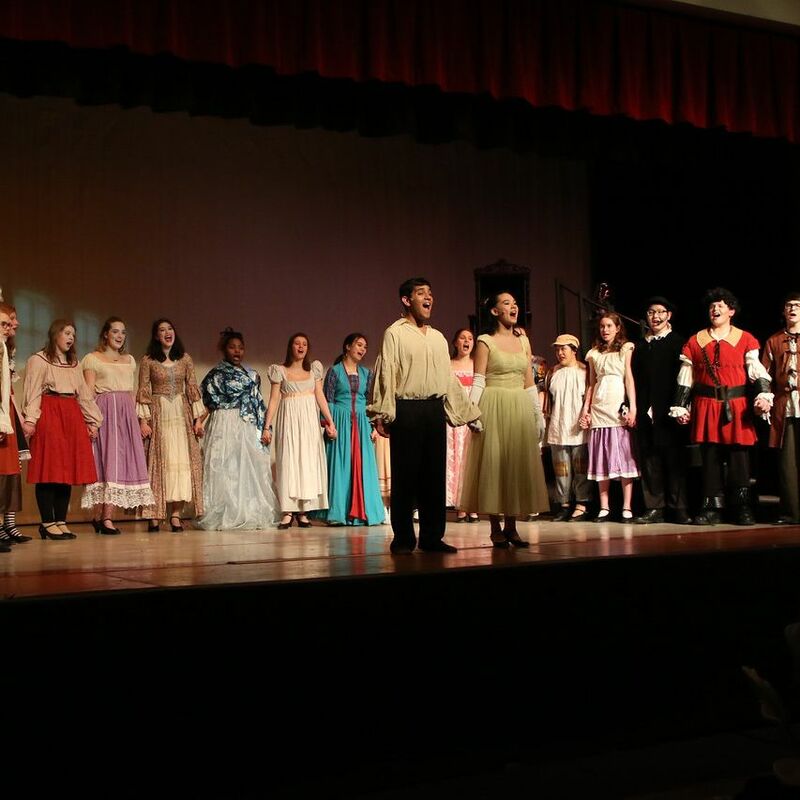 More photos from the performance can be found here.